Appointments can be made for the 2nd and 4th Thursday of each month between 9am to 12noon. If you are disabled or there is a large group, then home visits can be arranged. 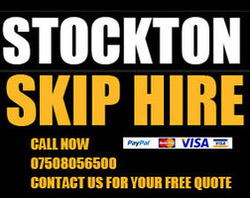 Dog Chipping in the Stockton Town Centre ward. Check back regularly for more updates !!!! 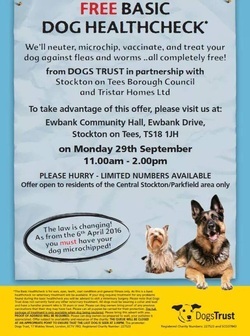 To ensure that microchipping is accessible to all we are offering free microchipping at all our centres on a drop in basis on the following dates. 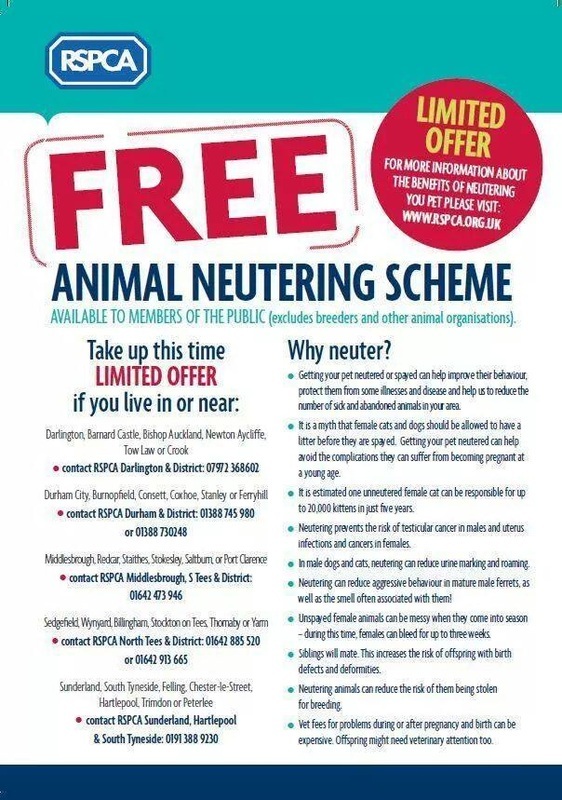 If you cannot make these dates you can still get your dog microchipped for free by calling your nearest centre to make an appointment. You can bring more than one dog to the event. We can chip puppies, but strongly recommend that they are fully vaccinated. We cannot chip cats or other pets at these events. 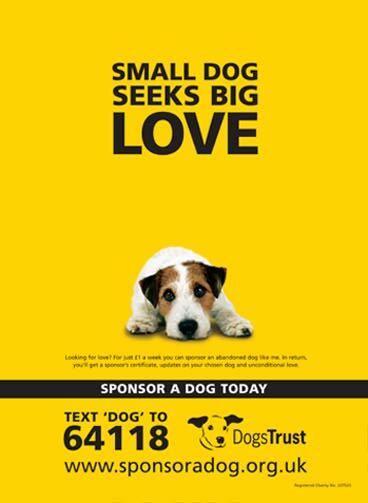 Dogs Trust has set aside £6m towards microchipping all of the un-chipped dogs in England. However, we estimate that the cost of chipping half these dogs will total £3m (a cost that Dogs Trust will cover) and we are expecting that the support of other organisations offering free microchipping will cover the remaining cost to ensure that all un-chipped dogs in the England will be covered. We are hoping that those who can afford to give a donation will help us recoup costs. A microchip (technically called a Radio Frequency Identification Device or RFID) is a small electronic device, which is the size of a grain of rice. The microchip is coded with a unique number that can be read by a scanner that energises the microchip using a radio signal. In the UK the microchip is implanted under the skin between the shoulder blades. The process is carried out by a suitably trained person. It is not carried out under anesthetic. Once implanted correctly the microchip is unlikely to fail and so provides lifelong permanent identification. Is it going to hurt my pet? Microchipping just feels like a small pinch or mild sting – akin to a minor injection. The dog does not feel the chip at all after it has been inserted.